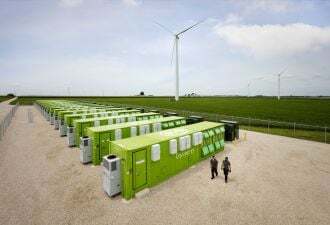 Intelligent Energy, the only fuel-cell company Greentech Media tracks that’s ever turned a profit (back in 2012), has just bootstrapped its way into one of the world’s biggest markets for backup power. 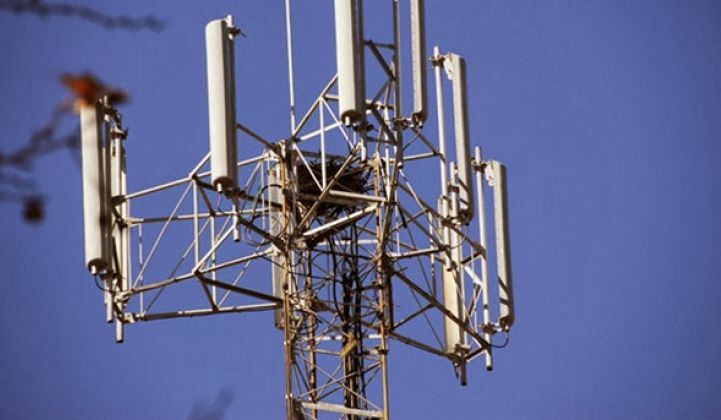 Last week, the U.K.-based company announced a £1.2 billion ($1.8 billion) deal with India’s GTL Limited to back up about 27,000 cell phone towers -- an inside deal that underscores the opportunity for remote power in the developing world. Intelligent Energy has deployed about 100 megawatts of fuel cells for telco tower backup power in India with customers including Microqual and ATL, and has about 400 megawatts under contract. But its new deal is with its own subsidiary, Essential Energy, which owns the energy management contracts for GTL’s tower fleet under a deal completed early this year. In other words, it’s essentially selling the fuel cells to itself, presumably on the premise that they’ll come in at a cost that’s competitive with the diesel generators they’re replacing over the long haul. CEO Henri Winand explained the plan in a February interview, noting that it should help the fuel-cell business drive down production costs with scale. This move is enabled by the spinout of most of India’s network of 425,000 cell towers as independent infrastructure holding companies. Those companies have, in turn, outsourced their energy management needs to outside or related companies, such as Essential Energy. Some 150,000 or so of these towers are off-grid, and many more must rely on their own power during blackouts that can last hours at a time. That makes for expensive power -- according to the World Bank, electricity costs make up 40 percent of cell tower operating costs in India, compared to 12 percent for Europe, largely driven by the cost of diesel. Meanwhile, government mandates call for replacing half of that rural diesel fleet with cleaner alternatives by the end of this year. All of this has created opportunities for renewable energy services companies (RESCOs) -- providers of clean on-site electricity, compensated through power-purchase agreements that provide long-term stability for investors. Intelligent Energy didn’t provide information on the volume of fuel cells it would deliver under the $1.8 billion deal, or whether it considered other alternative technologies. It’s important to note here that India’s cell towers aren’t just the backbone of its financial and business activity. For hundreds of millions of people across India who lack access to grid electricity, they may be the closest source of power available for charging cell phones, powering refrigeration and lighting for medical clinics, and other essential power needs now filled by diesel generators, if at all. Rural microgrid projects are springing up across India, Africa and Asia that combine solar power, batteries, fuel cells and usually some reliable backup generator, preferably run on agricultural waste. They’re usually government or nonprofit-supported, which makes it hard to measure their cost-effectiveness. But cell towers, which spend roughly one-third of their overall costs on diesel, have a clear-cut economic benefit to achieve. 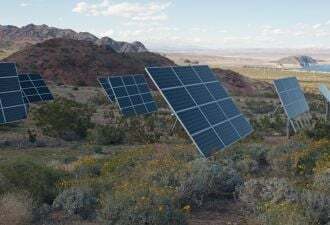 Partnerships like SunEdison’s with flow battery maker Imergy are promising thousands of solar-powered, battery-backed systems over the coming years, centered on telecommunications towers -- a market that Imergy started serving years ago. Intelligent Energy makes proton exchange membrane (PEM) fuel cells that run on pure hydrogen. PEM fuel cells are cleaner and more efficient than those running on methane or natural gas, and emit no carbon dioxide, unlike other fuel cell technologies like solid-oxide fuel cells from Bloom Energy, or molten carbonate from FuelCell Energy. On the down side, PEM fuel cells are far more sensitive to purity of fuel supply and membrane materials. They also have to deal with the hassle of hydrogen as a fuel source, usually via replaceable cartridges, as Intelligent Energy uses. These factors have limited PEM fuel cell’s appeal against competitors like lithium-ion batteries or natural-gas-fired generators. Intelligent Energy raised more than $150 million from investors before going public in 2013. Since then, it has seen its stock price fall roughly two-thirds from its immediate post-IPO high, and in December it reported a £48 million ($73 million) loss on revenue of £13.6 million ($20.6 million) for fiscal year 2014. Its chief competitor on the PEM fuel cell front is Ballard Power Systems, which in April landed a 100-unit deal with India telco tower operator Reliance Jio Infocomm.